Scottish Head Coach Gregor Townsend has made 4 changes to the side that narrowly lost to the All Blacks for this Saturday’s match against Australia. 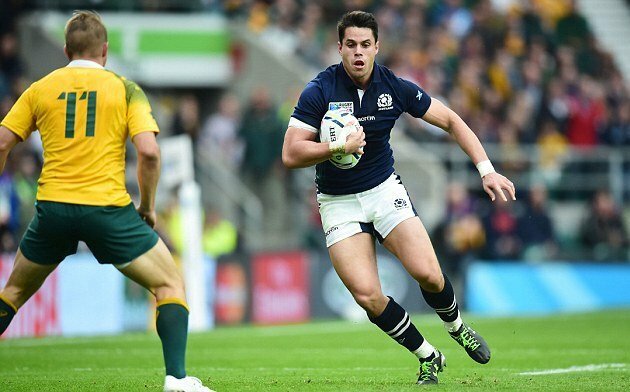 The most eye catching is Sean Maitland, who replaces Lee Jones (who has dropped out of the squad altogether) and is just back from injury. The Saracen breaks the all-Glasgow monopoly in the backs, but will know the players well from his time with Warriors. Ben Toolis and Cornell du Preez drop to the bench, with Grant Gilchrist promoted to start alongside Jonny Gray and Ryan Wilson back from injury. The other change is Simon Berghan who comes in place of Zander Fagerson, who also drops to the bench after a difficult game against the All Blacks. They’ll take even more confidence care of their victory over the Wallabies away from home this summer. 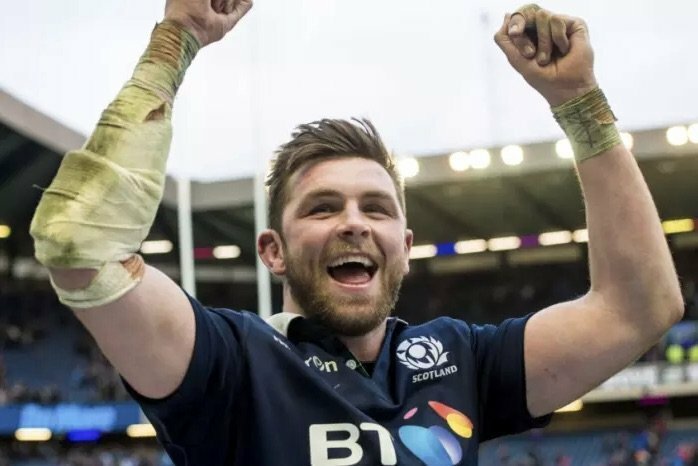 Replacements: Brown (Glasgow Warriors), Bhatti (Glasgow Warriors), Z Fagerson (Glasgow Warriors), Toolis (Edinburgh), Du Preez (Edinburgh), Pyrgos (Glasgow Warriors), Horne (Glasgow Warriors), McGuigan (Sale Sharks). What do you think of the team named? Can the record back to back home and away wins against the Wallabies in 2017? Let us know in the comments below. Could be a fantastic game. Aussie s were already motivated, and we saw last weekend they can create and score tries , so will likely me even more so. Game plan will be important, but I love watching Scotland right now. Surprised about Toolis as he had a great game back in June. Jones is unlucky but Maitland would always be the starter if fully fit and brings some extra physical presence. These days on the bench isnt a demotion. Its a game strategy. Its not 15 against 15, its 23 against 23 (or 24 if you count the ref on occasion). Bench means impact at a critical time. That last yin was fast as feck! Go Scotland from a former Wallaby supporter. We definitely have the ability. We just need to capitalise of all our try opportunities. Hope the crowd are more respectful.The booing at the kicks last week was embarrassing. Some of the players actually prefer the heckling!! I know it is “customary” to keep quiet (at least in the UK) but the silence can be, and is, mega intimidating! Modern rugby is, well, different. I don’t mind the noise. So All OK IMHO. So many players missing throughout the autumn season. However the team have played excellent rugby. Can’t remember such strength in depth. Therefore I think that whatever team is put out by Gregor we need to believe in, he will know best what the fitness and injuries the players have. If we play the flowing rugby we showed against Samoa and the grit and hard work against New Zealand then we will beat the Australian team. We can all argue so certain team selection here and there. Come on Scotland we are one! Play like last week and it will be a W.
I’m a big fan of Seymour but Jones played much better than Tommy on Saturday so l can’t see why HE’S been dropped. Also Gilchrist in place of Toolis is just a nonsense unless Toolis was injured, which he’s not. Have to say gilchrist played his best on Saturday. When on form he is powerful on the carry and Clear out. Look at how he helped jonny try with ferocious clear out. Toolis had a good game too and townsend is doing well keeping them all in the mix. It is tremendous that we have 2nd row like this. Big Vern was a fan of Gilchrist, and he aint stupid… I’m with Vern. Toolis is just a bloody huge bonus! No idea why Lee Jones misses out based on the passed 2 performances! Worked very hard in attack and defence! Pleased to see berghan starting. Despite the idiot commentator speaking as if he were a weak scrummager, the opposite is true. At the 7 man scrum the all black looseleaf drops his bind and folds in taking berghan with him. The linesman must have been blind not to see that and inform the ref. Hope so as I’ll be there!